Native to the Mediterranean region and one of the oldest cultivated plants, fennel has been widely used as both a vegetable and an herb since ancient times. It is also useful as a medicinal plant. Its name is derived from the Latin word flenum, meaning hay. TheGreeks knew it by yet another name—marathon—because it was believed that fennel seeds suppressed the appetite and afforded extra energy to long-distance runners. Besides itsapparent ability to enhance stamina and longevity, fennel is now considered useful in aiding digestion and relieving menstrual pain. In culinary settings, fennel is particularly associated with Italian food. Its sweet taste is reminiscent of licorice, lending a distinct flavoring to soups, fish and other cooked dishes. It also makes a pleasing addition to yogurt or cream. 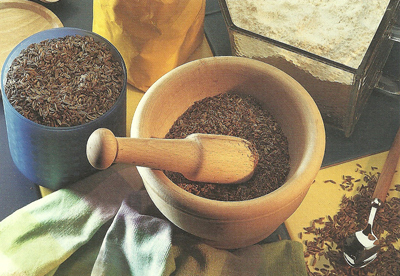 The plant’s seeds can liven up breads, pastries and cheese. 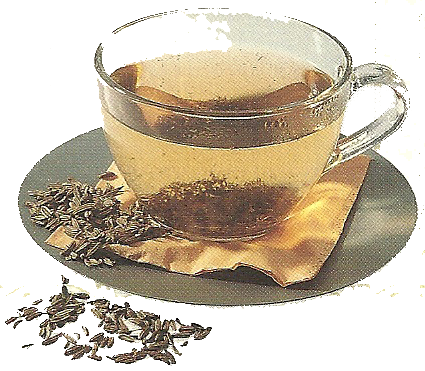 Fennel is a highly effective carminative, which means it helps relieve gas and bloating. To make a tea, pour 1 cup of boiling water over 1 heaping tsp. of ground fennel seeds.Cover and steep for 10 min. ; then strain. As a preventive measure, drink 1 cup of warm, unsweetened tea in small sips after eating a meal.